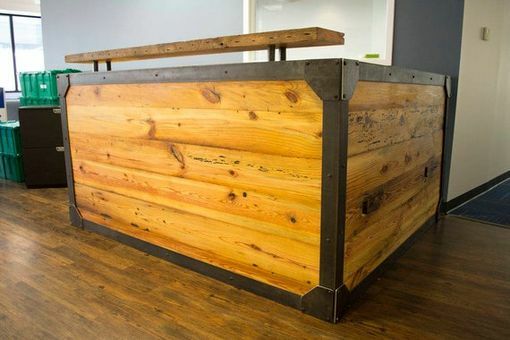 Easily Customized Reception Desk made from Reclaimed wood with Steel framing details. 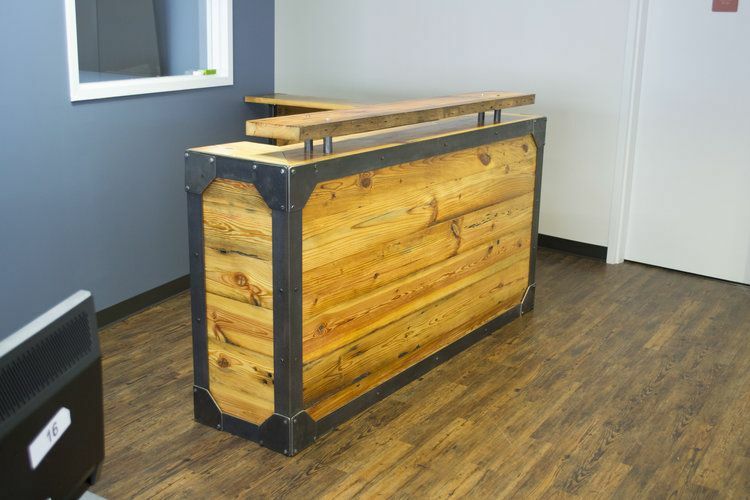 All wood is sealed for durability and steel is blackened and varnished to prevent tarnishing or rust. 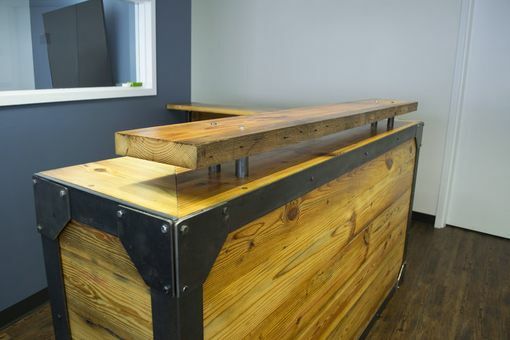 The desk shown is our standard build but we are capable and more than happy to make a custom build to match your space and preferences. Dimensions: 42" H x 6' L x 4' D .
Interior desk : 24" x 4' x 30"
This piece is made to order and hand built from scratch so please allow 4-6 weeks for construction. Some assembly may be required for this piece depending on shipping and building access restrictions, but we are more than happy to send the necessary hardware and assist you via phone call through the process!